I am living in a business district in Barcelona. Besides of banks, lawyer offices and insurance companies, there are many cafes as well. In conclusion, everyone loves cafe. Hongkong people share a similar cafe culture... but minus the frequency... and we must eat, mostly sweet buns, pastries or tarts. In old time, these baked goods were loaded with butter, cream and eggs. This is the reason I think... back then the economy was kicking off, diversifed ingredients were imported, people were liberating their wallets, so as their stomach... So come to pastries and tarts, we like them very, very rich, from the inside filling through the outside crust. 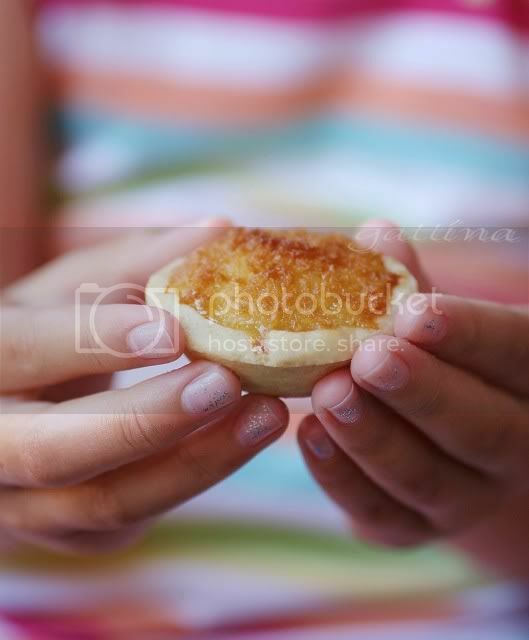 Coconut tart is my all-time favorite. If you are a real coconut-lover, this HK-style tart is the ultimate! No no no, there is no custard inside, it is totally coconut-y! A couple of ingredients (like milk and butter) keep the filling soft, but leaving them overnight is the key to turn them moist. 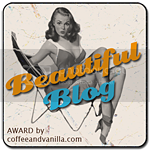 Last but not the least, I am very happy to receive Beautiful Blog Award by Margot at Coffee and Vanilla. Being one of gorgeous blogs herself, Margot features delicious European and Caribbean cuisine, and actively promotes food blogging by organizing various events. So please check out the details of Beautiful Blog Award, you might like to nominate someone as well, or you would be the next one! these look so adorable and just perfect for tea time! lovely! What delightful little tartlets! i'm a sucker for coconut-based things! If it is not a big problem, could you link the badge to the BB list? gattina, these are really beautiful. I have eaten similar tarlets but felt that they are not as good as expected. Waiting for your recipe to try these out. I'm crazy about coconut. And now crazy about those sweet tartlets! Looking forward the recipe. I love coconut in everything! 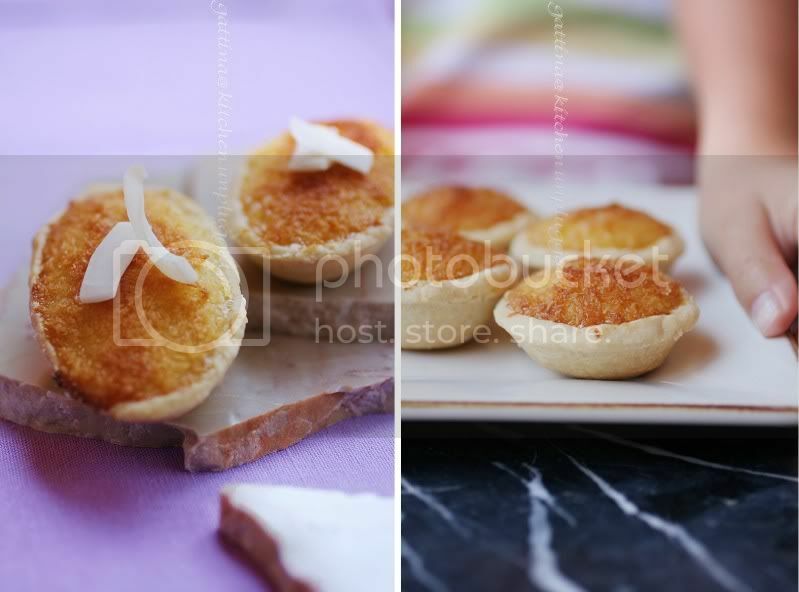 these filled coconut tartlets look amazing & so tasty! Wonderful little treats! Good luck finding the recipe. These look delicious! I love chewy coconut pastries! I do love coconut and would love to try these. I hope you find the recipe! Looks similar to what we in South Africa call Hertzog Cookies. Sweet treats - yummy!